Over the last several weeks, I found myself waking up later and later each day. I’ve never been much of a “morning person,” but this was starting to get out of hand. I woke up extremely cranky and irritable. It totally set the tone for the rest of the day. I felt unmotivated and unproductive. It seemed like I was losing my drive and that is not normal for me. What the hell was going on? I guess you can call it a personal rut. I noticed that this happened a few weeks before my dad’s anniversary. Just like clock-work, I fall back into this strange emotional place each year in August. It always feels a little harder to get out of bed. It’s almost as if I do it subconsciously. To be honest, I hate it. I don’t like the way it makes me feel and I knew that I needed to snap out of it as soon as possible. Literally one week ago, I was texting with my friend Sydne. 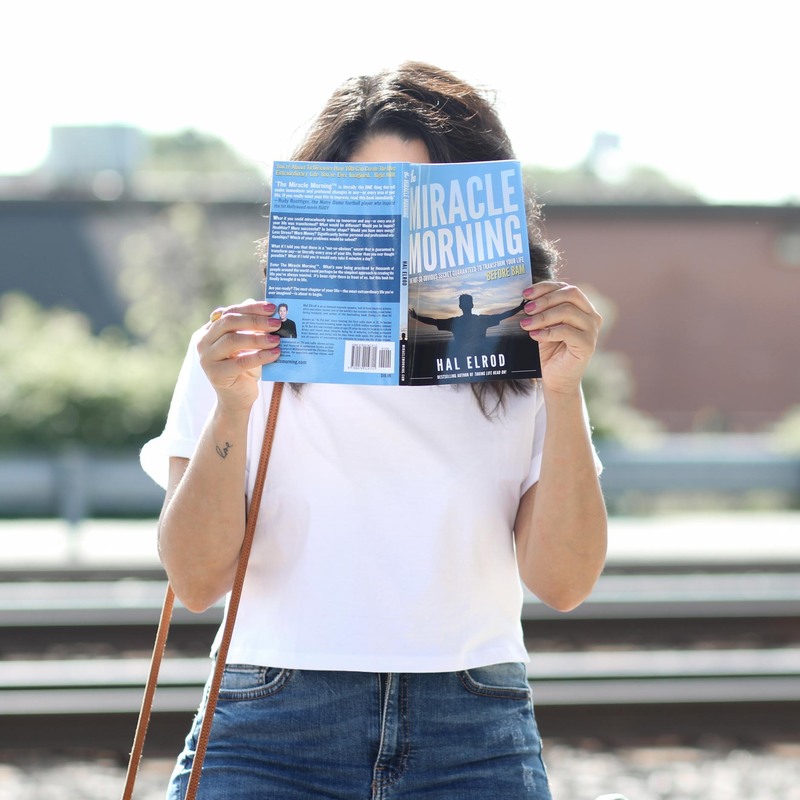 Without knowing how I had been feeling, she started to tell me about this book called The Miracle Morning and how it’s helped her so much ever since she read it. I was searching for some newfound inspiration and felt this would be perfect. I went to the bookstore later that afternoon and picked it up right away. Sydne, I can’t thank you enough for recommending this to me. The last time that I felt this strongly connected to a book was when I read The Alchemist by Paulo Coelho. Both of these books are extremely different, one being a fable and one being self-help. But, the common thread between them is that they each gave me a deeper understanding of what it means to live life with purpose. It’s very easy to get caught up in our day-to-day activities that we sometimes forget about our purpose. We wake up with no real plan or action. We start our mornings off with a negative mentality and allow ourselves to get caught up in the wrong things. Far too often, this causes us to lose sight of our priorities and what truly matters. This is something that I am trying to be more mindful of. What Is The Miracle Morning? Hal Elrod shares the 6-step morning routine he developed that is guaranteed to change any and every area of your life, all before 8am. Yes, you read that right. It will change your life. 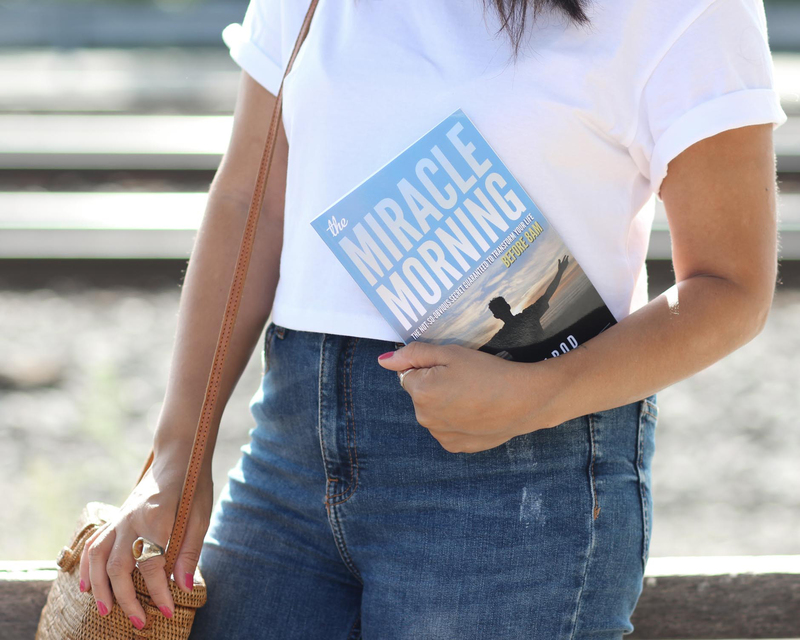 This book has literally transformed into a movement, with thousands of people practicing The Miracle Morning every single day. 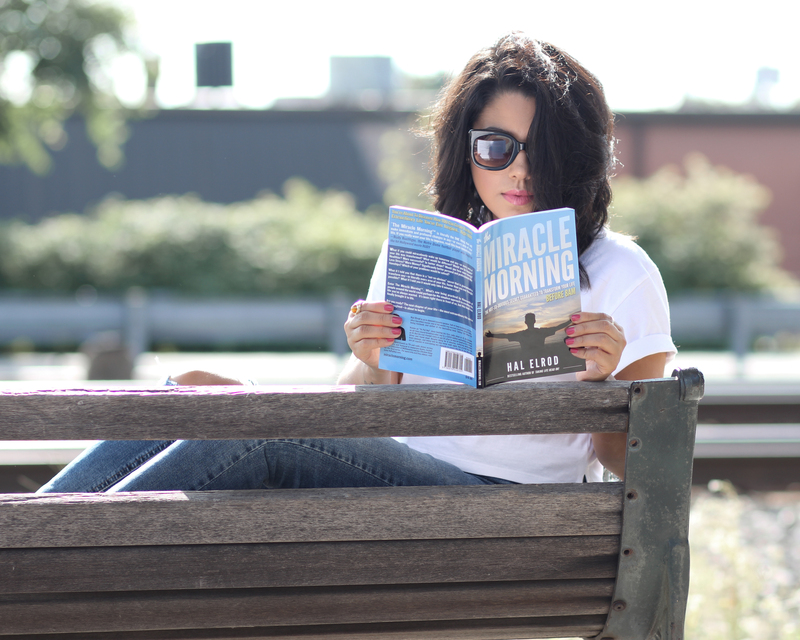 The book starts out with Hal’s incredibly inspiring story and what led him to create his own miracle morning. I don’t want to give away too much, but I will say this -If he can get out of bed every single morning with the level of determination that he has, even after all he’s been through, then we can too. No excuses. He reminds us how important it is to overcome mediocrity and to live our full potential. It’s sad how many of us settle for far less than we deserve. These are the 6 practices that Hal guarantees will transform your life each morning. He goes into each step in greater detail, but here is a brief overview. Silence, Affirmations, Visualization, Exercise, Reading, & Scribing. This portion of the book only confirmed what I knew to be true all along. I was doing mornings wrong my entire life. I never meditate. In fact, I am not very good at silencing the thousands of thoughts in my mind. My affirmations were not always positive ones. I can be really hard on myself. Without even realizing it, I was feeding my mind negativity. The one thing I’ve always done is visualize. However, there are certain areas of my life that I have subconsciously trained myself to block out of my visualizations. That is about to change. Exercise is something that I’ve never stuck with long enough. I’ve never been consistent for more than a few months, but I’m working on it. I totally agree that doing it first thing in the morning is the best way to start the day. Reading is something that I’ve loved ever since grammar school, but I’ve allowed myself to think “I’m too busy” to do it more often. I love the idea of dedicating 20 minutes to this first thing each morning rather than scrolling through my Instagram feed. Knowledge is power. Scribing, otherwise known as writing, will probably be my favorite part of this whole morning ritual. It’s meant to get you in the habit of keeping a daily journal so that you can document all your thoughts and ideas. This can give you some major breakthroughs and help with personal growth. Hal says this is so valuable, especially for those who want to write a book! Now I can put all those empty notebooks I have to good use. I don’t necessarily have to be a morning person in order to have a miracle morning. But truthfully, I would much rather start my days an hour earlier. This book helped to instill that in me again. I want to get back that excitement in the morning. I need to wake up feeling happier and being more productive. The only one holding me back from reaching my full potential is ME. I have formed some pretty bad habits in my life that seemed really small at the time, but in the grand scheme of things they hold much more significance than I realized. If I don’t get those habits under control, then they are going to control me. I make excuses when it comes to certain things in my life and I have to cut that out. I am WAY more capable than I ever give myself credit for. We each have the power to create change in our lives and that’s exactly what I am going to do. This book has been a huge wake-up call for me. At the end, Hal recommends that you ask the people closest to you to give you 2-3 of your weaknesses and 2-3 of your strengths. You cannot get offended. This is meant to help you realize certain things about yourself that you might not see. So far I’ve asked 2 people and their responses have been incredibly helpful. I really want to continue to grow as a person and the only way to do this is to work on improving my weaknesses. I can’t wait to write my own, but here are some of my favorite ones from the book. Give up the need to be perfect for the opportunity to be authentic. Be who you are. Love who you are. Others will too. They say misery loves company, but so does mediocrity. Don’t let the limiting beliefs of OTHERS limit what’s possible for YOU. Make bold moves towards your dreams each day, refuse to stop and nothing can stop you. There is nothing to fear, because you cannot fail. Only LEARN, GROW, and become BETTER than you’ve ever been before. Starting tomorrow, September 1st, I am going to take on The Miracle Morning 30-Day Challenge. This means that I will begin implementing everything I learned in this book so that I can see first hand how it changes my day-to-day experiences. I’ve already been waking up a little earlier, but I will officially begin the challenge tomorrow. I plan to write another post in 30 days to let you guys know how it went. The great thing is that you can customize your morning ritual to however you see fit. You can mix up the order of the Life S.A.V.E.R.S. If you don’t have time to do the full 60 minutes each morning, you can do it as effectively in just 6 minutes. The most important thing is to stop delaying your mornings by hitting the snooze button. Instead, wake up with determination and live to your full potential. I’m excited to start my days with a few minutes of silence, affirmations and visualization instead of checking my email and social media accounts. I’m looking forward to exercising, reading and journaling before I brew a cup of coffee or step foot into my office. This is going to be an incredible way to break me out of all the habits that I have formed. It’s going to allow me to start each day with a set plan and purpose so that I can be more productive. This will leave me feeling more fulfilled. Hey Naty! I would absolutely love more book-orientated posts in the future. I am a bibliophile and always looking for the next best read. 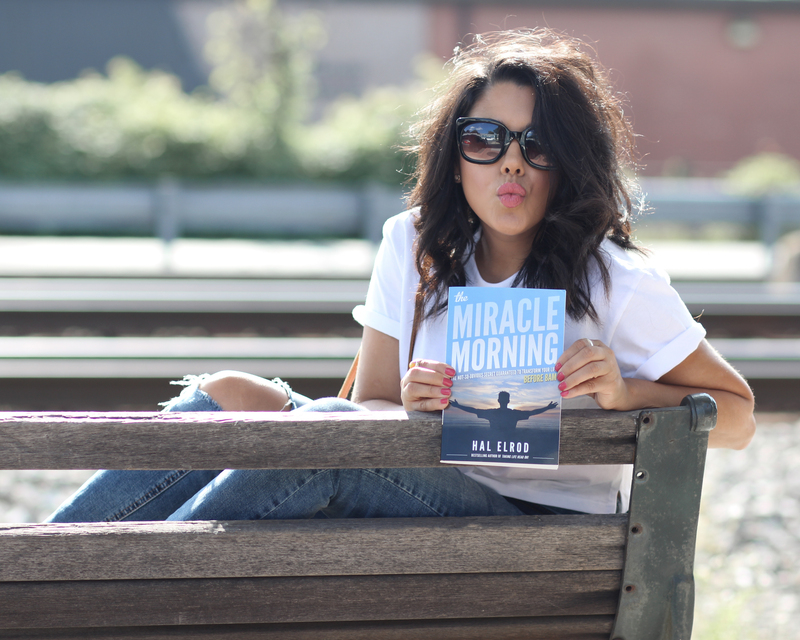 I’m definitely adding “The Miracle Morning” to my to-read list.